Blurb Description: 'Akriti ‘Akku’ Patel and Sanjay ‘Sanju’ Saran become friends in kindergarten, lovers in college, and then hit the real world. With bureaucrats for parents, Sanju’s world is one of power, privilege and entitlement. Akku, on the other hand, is brought up by a single mother – a distinguished surgeon widowed very young – and an aunt who is a smart and sassy books editor with commitment problems.Sanju’s mind is in turmoil as he chooses to abandon his dreams and, like his parents, looks to the Civil Services for what he thinks will be a meaningful career. Meanwhile, Akku, armed with a BTech from IIT, is jetting off to a land of systems design and fun-loving computer geniuses.Can their love survive these growing differences? Or will the compulsions of Lutyens’ Delhi stand in the way of their togetherness? I love best friend romances. I haven’t said it in a while, but they are my Achilles’ heel of all tropes in contemporary books. 1. THE DIFFERENT LOVE STORIES: When I read the synopsis of this book, I honestly expected it to revolve around JUST the two protagonists and their love story, but what I got was a look into Akriti’s (the female protagonist’s) aunt’s and mother’s ULTRA ADORABLE love stories as well, and I absolutely loved their sisterhood, their co-parenting and their romantic lives. 2. THE ALTERNATING VIEW POINTS: I really liked the way this book was told – through emails, narration and also alternating viewpoints. It really showed you the lives of four different characters at different parts in their lives and I LOVED READING IT ALL. 3. THE COVER AND THE PLOT: Like I said before, HOW PRETTY IS THIS COVER? It’s simple and yet so cheerful and I LOVE IT. 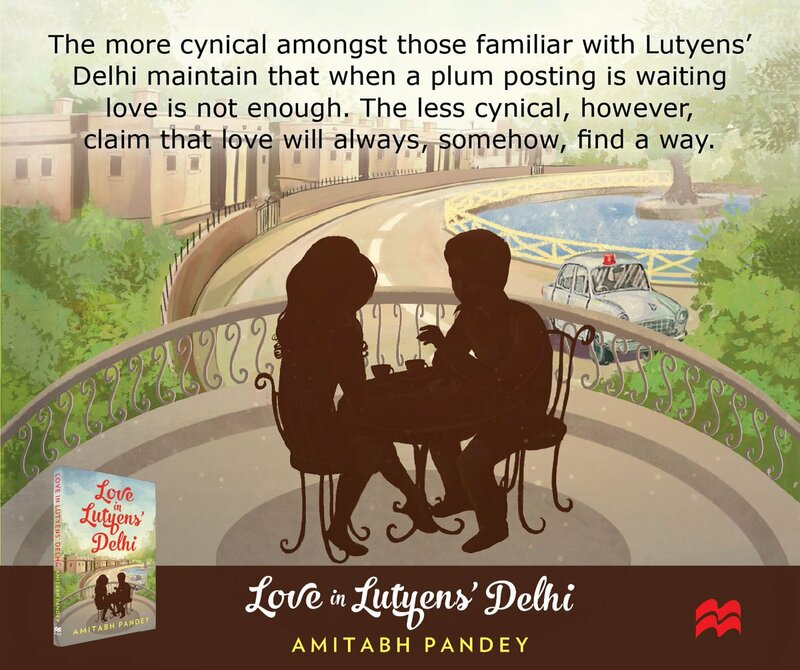 I also love the very idea behind the plot – three love stories from a mother, daughter and aunt. Each is truly a different person and you get a whole backstory for each of them and it was SUCH fun to read. 1. THE STRUCTURE // NON LINEAR TIMELINE: This didn’t bother me that much because the book was SO SMALL, but the structure of the book was non-linear, flipping from past to present and fast-forwarding without any warning and it threw me off a little. I don’t mind non-linear books AT ALL, but I do like timelines put into them such as “23 years ago” or something like that. 2. THE SIZE: Heard the phrase, ‘I like big books and I cannot lie?’ WELL, THAT IS ME WITH THIS BOOK. I finished this book in a little over an HOUR and while I liked the characters and the plot and the love interests, by the time I closed the book, I WAS CRAVING MORE because I felt like the book had just started and it was already over. I NEEDED THIS BOOK TO BE BIGGER. So. That’s it. 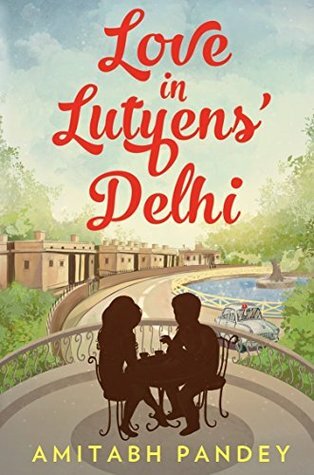 If you’re looking for an adorable Indian romance that also happens to be a quick read, make sure to get your hands on Love on Lutyens’ Delhi. The love stories are ADORABLE and REALISTIC and filled with problems all of us face as millennials and I LOVED IT. 4 stars. 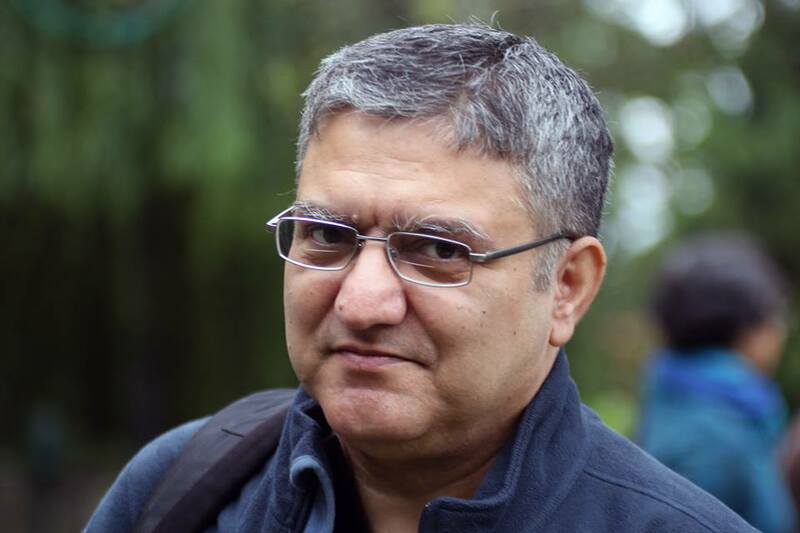 Amitabh Pandey studied Economics at St. Stephen’s College, and the Delhi School of Economics, Delhi University. He taught Economics at an undergraduate college of Delhi University and then joined the Indian Railways where he worked for twenty-four years, during the course of which he conceptualized, implemented and managed the Railways online ticket reservation system (http://irctc.co.in) at the Indian Railway Catering and Tourism Corporation. In 2007, Amitabh shifted to the private sector and spent five years building business software. Amitabh now lives in Noida. His first book, Himalayan White, was published by HarperCollins India (2016). What are some of your favourite romantic books? Who are some of your favourite Indian Fictional Characters?